ANN ARBOR, Mich. - Big Ten football season is here, and despite an early misstep against Notre Dame, Michigan has its eyes on a conference title. 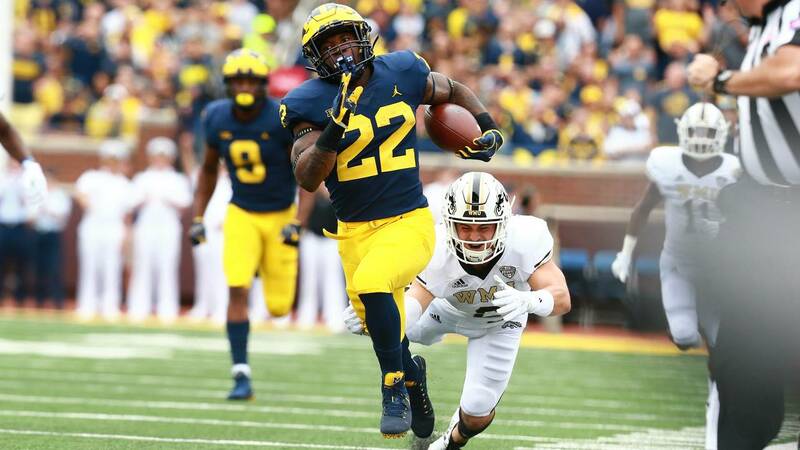 The Wolverines have steadied the ship since their loss, dominating Western Michigan before a comfortable yet uninspiring win over Southern Methodist. Now that the nonconference season is over, Michigan will put its top remaining goal on the line: a Big Ten championship. It's a tall task for a Michigan team that plays the top four teams in the conference, two of them on the road. There's a three-game stretch in October and November in which the Wolverines will host No. 18 Wisconsin, travel to No. 24 Michigan State and return home to play No. 10 Penn State. Those rankings will change between now and mid-fall, but those will still be three of the best teams in the conference, if not the country. To win the Big Ten East Division, Michigan has to win eight or nine of its conference games. With the aforementioned three-game gauntlet and a Nov. 24 trip to Columbus, Jim Harbaugh knows his team can't afford to drop any of the other five games it will be favored to win. That stretch begins Saturday when Michigan hosts a winless but talented Nebraska team. 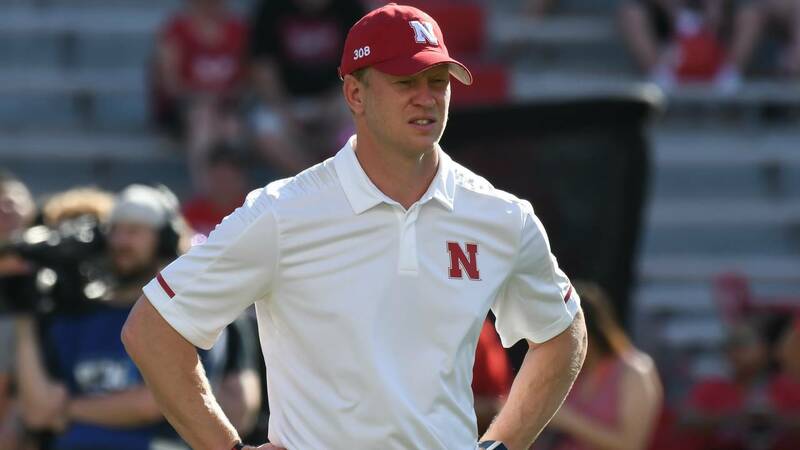 New head coach Scott Frost's current situation is similar to the one Harbaugh faced in 2015. He returned to his alma mater, where he played quarterback, to save it from a long stretch of mediocrity. But the first three weeks haven't gone smoothly for Frost, as the Cornhuskers are 0-2 with home loses to Colorado and Troy. Nebraska's loss to Troy comes with an important clarification: budding star Adrian Martinez didn't play due to an injury. The true freshman quarterback stormed onto the stage against a good Colorado team in Week 2 -- after Nebraska's opener against Akron was canceled by weather -- and showed why Frost chose him to lead his new offense. Martinez completed 15 of 20 passes for 187 yards, a touchdown and an interception. He also ran the ball 15 times for 117 yards and two touchdowns. Frost will get Nebraska turned around, but right now, Harbaugh has much more talent to work with at Michigan. The Wolverines have a stacked defense and a handful of playmakers on offense. Even the offensive line has improved since Week 1, though the competition took a dip. Even if Martinez plays, Michigan should be able to get past the Cornhuskers at home. 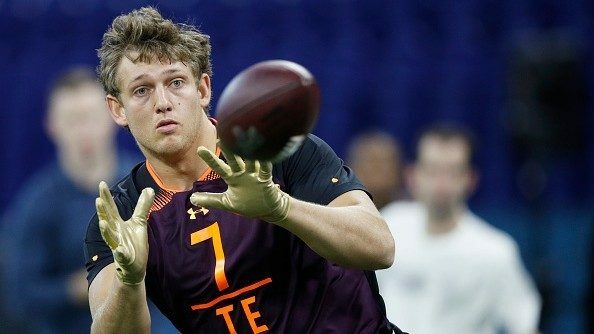 But he's the type of quarterback that gives the Michigan defense fits, so Harbaugh needs to make sure his team doesn't come out flat for a second straight week. This game has lost a lot of sizzle due to Northwestern's fall from grace, but it's still a trip that has given Michigan a scare in the past. The Wildcats came into 2018 with the longest active winning streak among FBS teams, and it appeared they would be winners of 11 straight heading into the Michigan game. But Duke shocked Pat Fitzgerald's team in Evanston, holding the Clayton Thorson-led offense to just seven points. Northwestern put together an 11-play, 79-yard touchdown drive to start the game and then got shut out for the remaining 54:50. 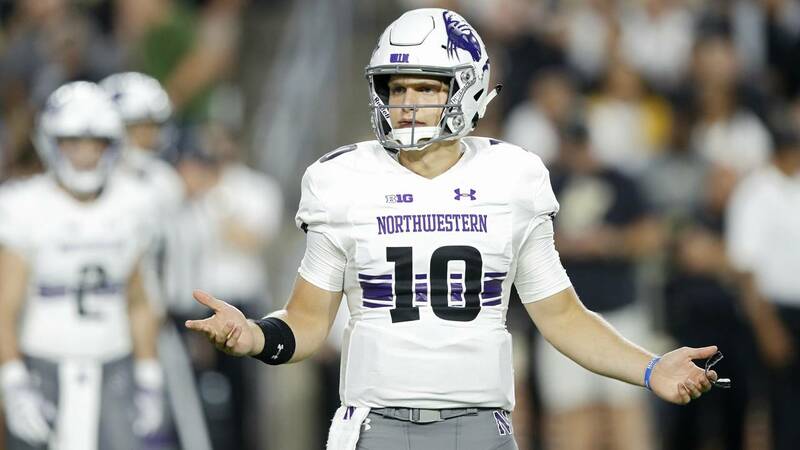 Instead of bouncing back the following week, Northwestern took an embarrassing home loss to Akron, which had never beaten a Big Ten team since the conference was founded in 1896. Northwestern held a comfortable 21-3 lead over the Zips at halftime only to give up 23 points in the third quarter. Fitzgerald's team actually trailed by 11 points with 2:30 to go before scoring a late touchdown to only lose by five. The Wildcats aren't actually as bad as they've looked the last two weeks, but as a team coming off a 10-win season, the nonconference slate has been an absolute disaster. Michigan has yet to win on the road, and this will be the first test since the Notre Dame loss. Northwestern typically finds a way to hang with Michigan, especially in Evanston. Regardless of which teams have already won at Ryan Field, the Wolverines can't afford to play anything but their best game. When Nebraska lost to Colorado, and Northwestern got pounded by Duke, it looked like the Maryland game could be the first opportunity for Michigan to beat a ranked team. After all, the Terps upset No. 23 Texas in the season opener. Now, that opportunity has also fallen by the wayside, as Maryland got pounded at home by a previously winless Temple team. The Owls, who lost at home to FCS team Villanova and MAC representative Buffalo, went into College Park and destroyed the Terps. Temple jumped out to a 14-0 lead in the second quarter and led 21-7 at halftime. 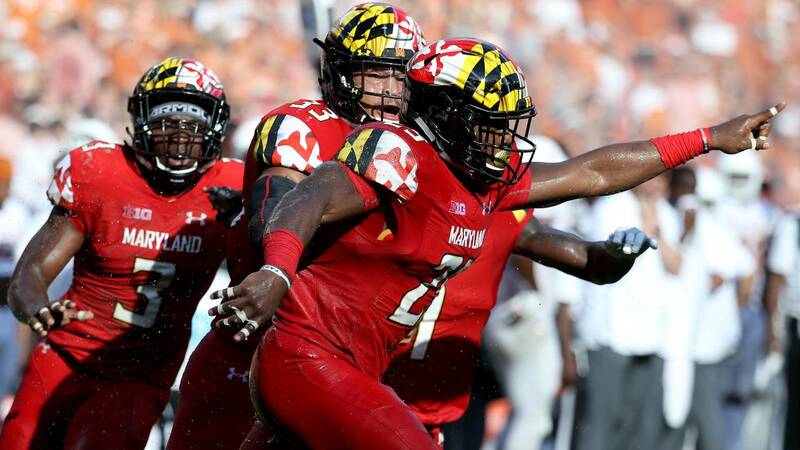 Maryland never pulled within a score, as the Owls put up more than 400 yards of offense. Maryland managed just 195 total yards in the game. Even though Maryland has already upset a ranked team, this feels like the least dangerous of the three games for Michigan. The loss to Temple exposed Matt Canada's team on both sides of the ball. 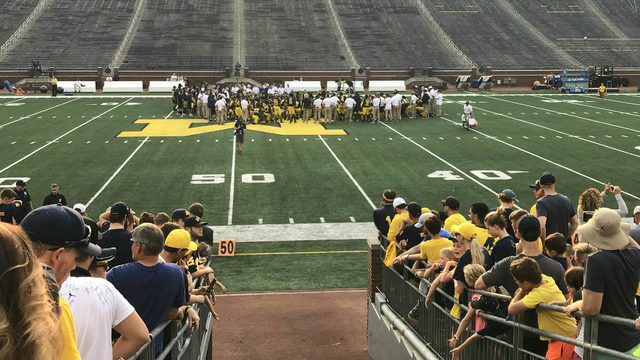 The next three weeks are all about taking care of business for Michigan if it truly hopes to get back into the conversation for a conference title. Harbaugh's team is flying under the radar after losing to Notre Dame and playing two weaker teams, and that will continue for three weeks unless Michigan loses. It won't help Michigan's resume to win the next three games, but it will be a lethal blow if it slips up in any of them. The Wolverines have more talent than Nebraska, Northwestern and Maryland, but that doesn't mean they can coast into October. There have already been dozens of shocking upsets throughout college football, and Michigan has to avoid another. 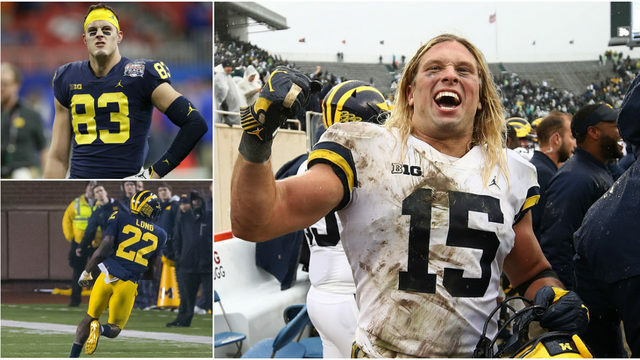 Even though a 5-1 Michigan team wouldn't necessarily have any big wins, it would give the team a whole different feel going into the toughest stretch of the season and position Michigan so that those three games have division title hopes on the line, not just bragging rights.